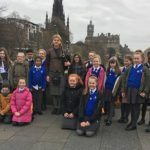 At the end of the term, we had an AMAZING choir trip all the way to Edinburgh! 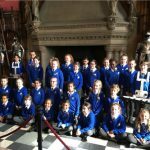 As well as singing at an retirement home and in the Great Hall at Edinburgh Castle, we also visited the zoo, the Royal Yacht Britannia and went to a traditional Scottish dinner show. What a great time we all had! We had lots of compliments on our performance from members of the public. The choir sing in the Great Hall at Edinburgh Castle. 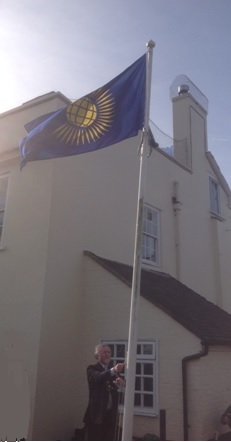 We also had the chance to sing at an outdoor service for Commonwealth Day, organised by the Mayor. 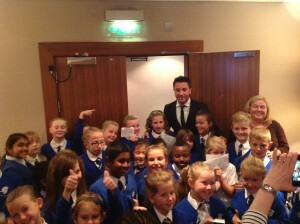 This was a great honour and the children were impeccably behaved, as usual. 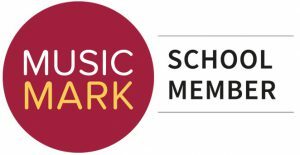 The choir had an exciting Spring term preparing for some special events. 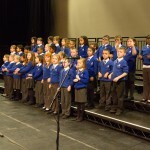 The first was performing at a local school choir festival at the Grove Theatre. 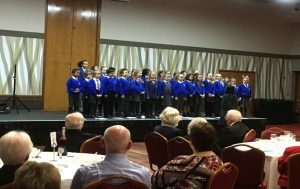 The choir presented two songs, ‘Pioneer’ (an old favourite) and ‘Under the Sea’, both performed with marching glockenspiel accompaniment! 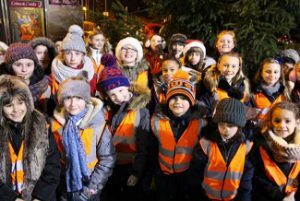 Hadrian choir have had a very busy schedule spreading Christmas through their singing around the community. We started by singing at the Luton and Dunstable hospital and then sang to the residents of Ridgeway Lodge. 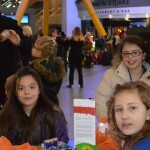 Following that we had a successful concert with Caritas Choir, sang to all the people arriving at Luton Airport and finally entertained at the Vauxhall Pensioners Party. 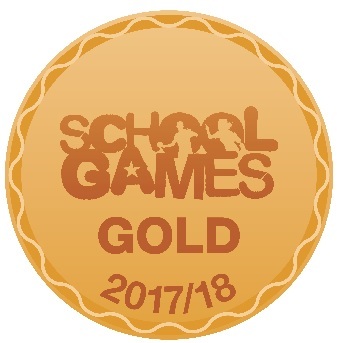 Many thanks to the parents who helped at these events and all parents who made sure their children were in the right place at the right time in their best uniform. We had some lovely comments on the wonderful singing of the choir and many people said how they brought a tear to their eye. 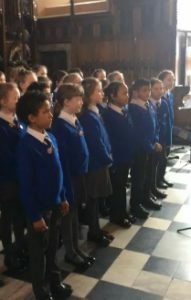 Annamaria from Caritas said “The children were delightful again and so well behaved; they’re a joy to sing with “. 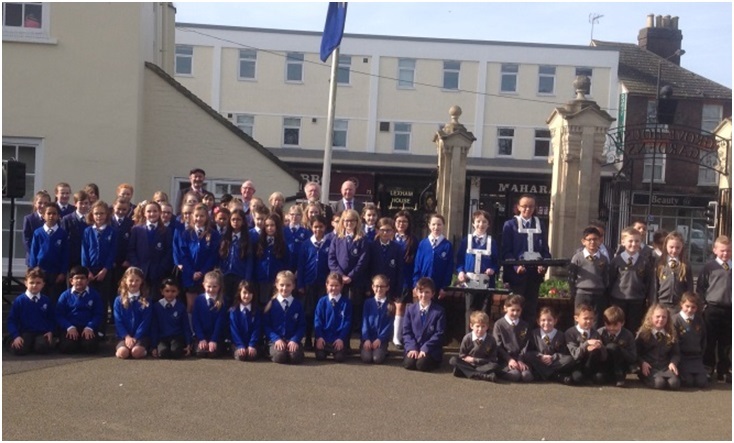 The choir attended their first event of the year when they sang a transport themed medley of songs before the official unveiling of the sculpture by the Mayor and Mayoress of Dunstable. 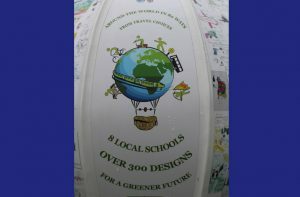 It was a double celebration as over 60 entries from children from Hadrian Academy appear on the greener transport themed sculpture ‘Around the World in 80 Ways’. Click on the image below for photos. 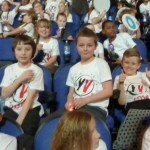 The choir took part in the Young Voices concert at the 02 London this Monday 25th January 2016. 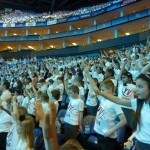 This was Hadrian’s return visit to the 02 and allowed its new members to share in the experience and be part of the largest choir to sing together. 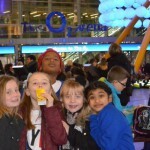 The children were excellent in their behaviour, efforts and performance. 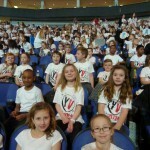 Well done to all the children and thank you to all parent helpers and staff. 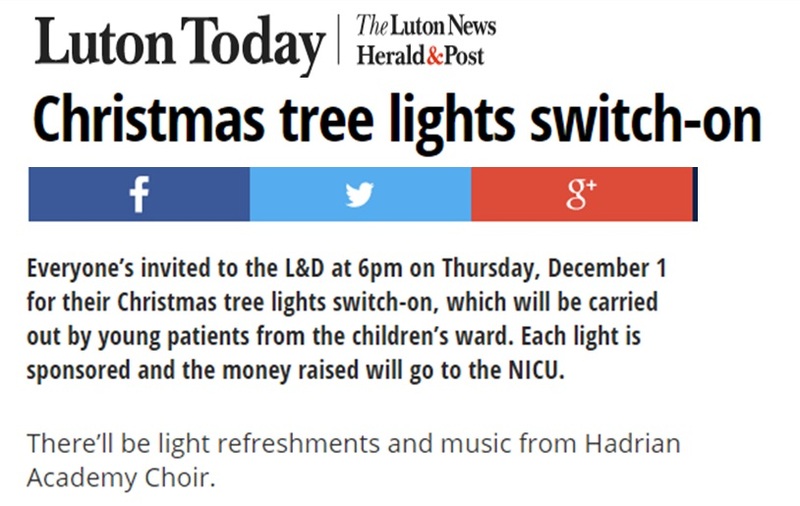 2nd December 2015 – The choir were flattered to return to the Luton and Dunstable Hospital to perform at the Tree Lighting Ceremony. 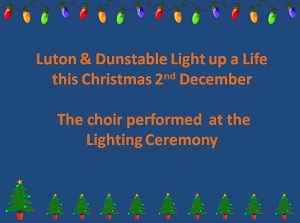 The lights were switched on by patients from the children’s ward following a speech by Dunstable Town Mayor, Liz Jones. The festivities were broadcast over the hospital radio for patients to share. 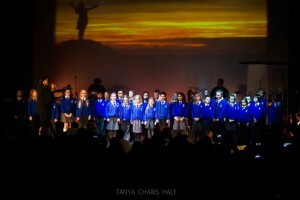 At Hadrian Academy the choir consists of children from years 3,4,5 and 6. 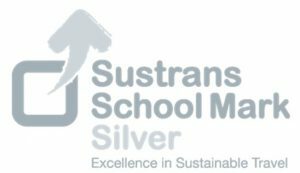 Rehearsals take place on a Friday lunchtime and are run by Miss Auker and Mrs Auker. 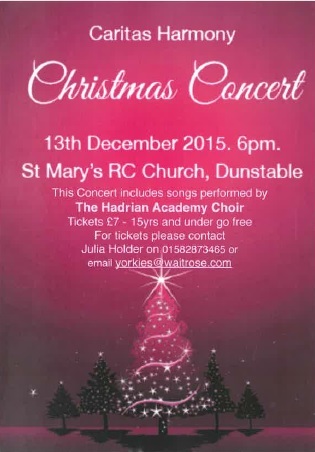 The choir will be singing at The Caritas Christmas Concert on 13th December as well as the Luton and Dunstable Tree lighting ceremony taking place on Wednesday 6th December. Photos to follow. 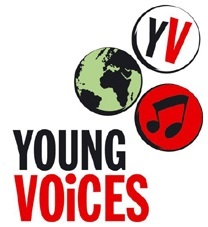 As well as rehearsing for Christmas the choir are also busy getting ready for their big day at the 02 Young Voices concert on 25th January 2016. During the year we take part in many events finishing on a high note with the end of year celebration of all the arts in Celebrate and Shine. To round off an eventful and busy year the choir sang the opening song at the Year 6 graduation this morning. 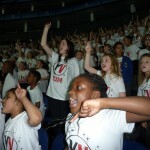 It was an emotional time for a lot of the children, staff and families. 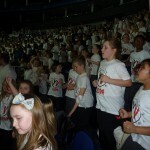 The remaining choir, now without the year 6 chose and sang ‘I Hope you Dance’ which was a very appropriate choice. It is an inspirational song of not being afraid to take chances and try something new. 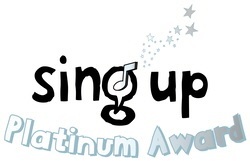 Today at Hadrian the whole school came together to celebrate our success at becoming a Platinum Sing up school. The school came to a stand still so that we could all enjoy our music assembly. Some highlights are in the videos below. Imogen a former pupil at Hadrian has since gone on to become a performer and is presently appearing in The Secret Diary of Adrian Mole. Imogen sent us a video as she was unable to attend our Platinum celebrations. Click here to view her message. 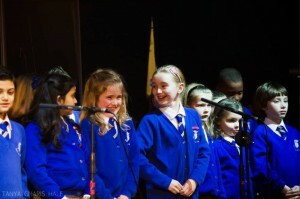 Following our four house songs the whole school joined in to sing the Sing up song ‘I’m Still Singing’. 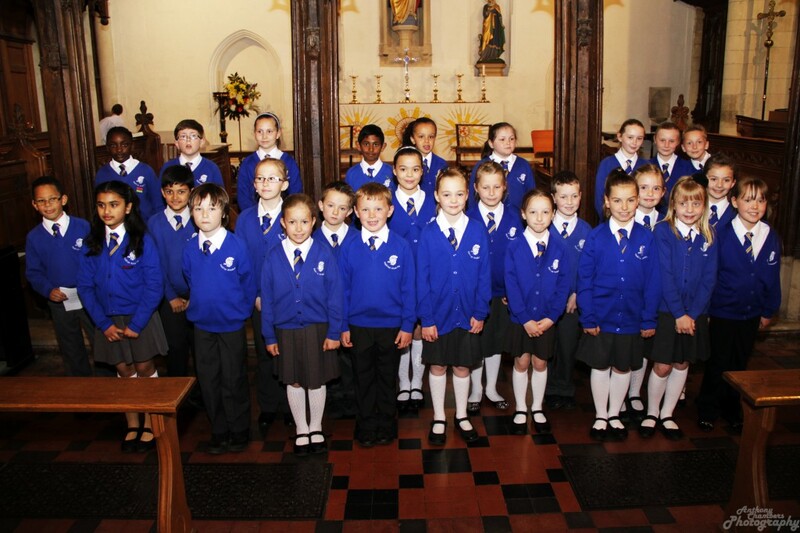 55 members of the school choir will be attending the Mayor’s Civic Service on 20th March. 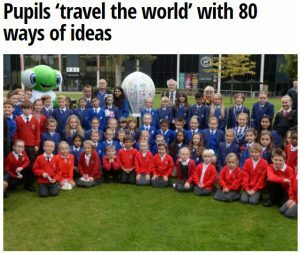 Hadrian Academy makes the local press once more. Click here to read the article on Sign2Sing. 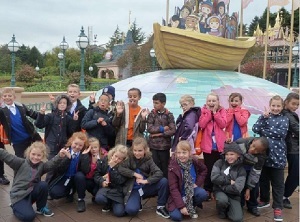 Twenty two members of the choir have just arrived back from performing in Paris and having an amazing time in Disneyland Paris. 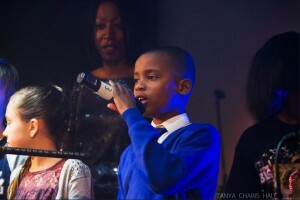 The photos are here and some footage of the choir in action is below. 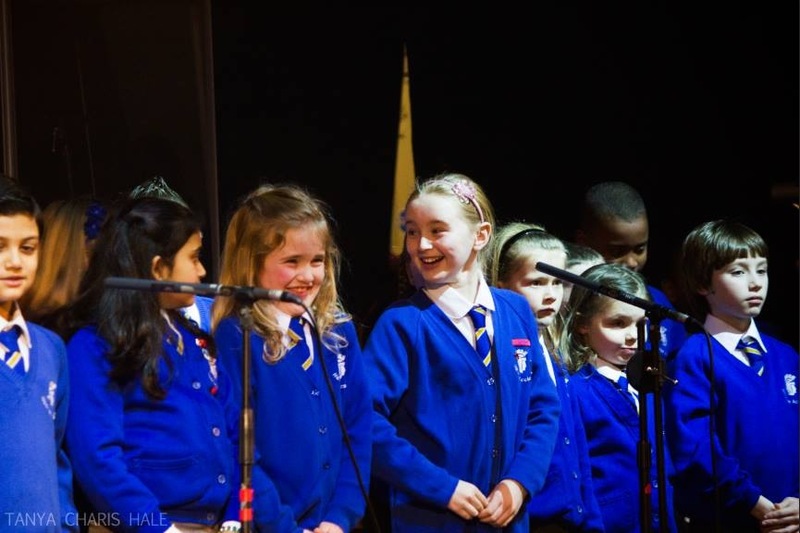 The choir received some professional tuition to learn the new Sign2Sing song as written by Eden, Holly and Sophie. 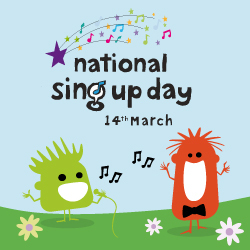 This song will be part of sign2sing’s annual event, raising essential funds for the Deaf Health Charity SignHealth – giving an exciting and fun introduction to sign language through music. 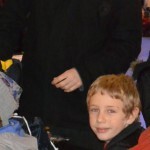 Deafness isolates children and that affects their health in later life. 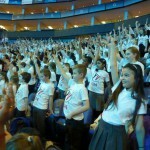 sign2sing brings Deaf and hearing children together through sign language. 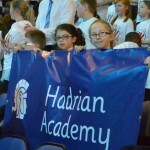 Hadrian Academy hits the headlines twice in one issue! Click to read the full article. 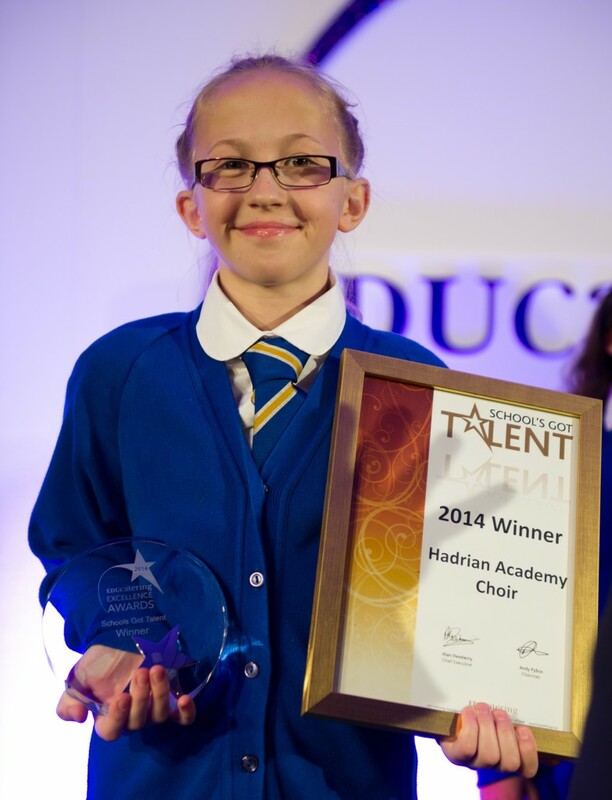 Hadrian Academy reached the Schools Got Talent finals. 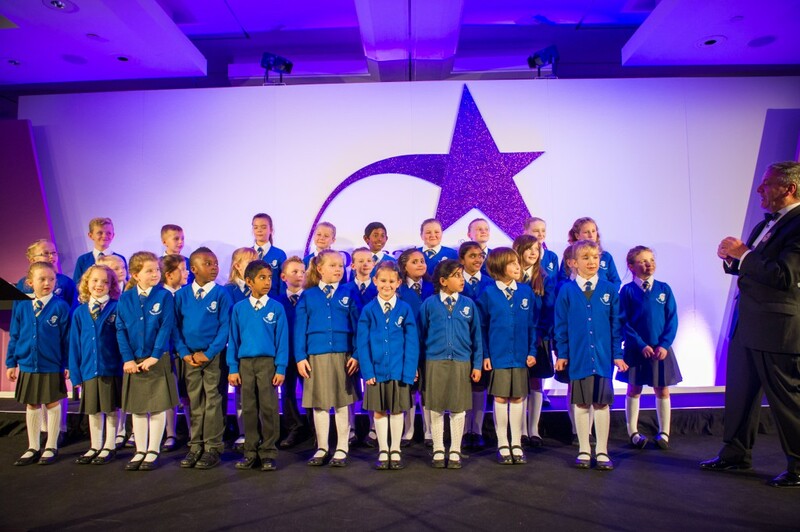 This took place as part of an EDUcatering evening held at the Royal Garden Hotel, London on Monday 13th October. 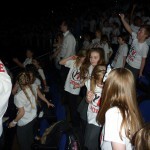 All children performed brilliantly and Hadrian Academy were very pleased to be voted by the audience in first place. Click here to view their performance. 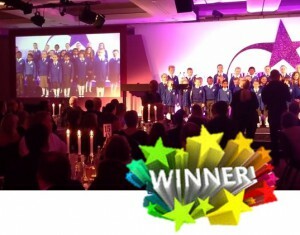 Harriette our Singing Captain was very proud to collect the award on behalf of the whole choir. Celebrate and Shine July 2014 was a huge success. 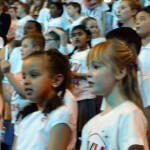 The school hall was full to capacity with a full range of talents on show. The adult choir made their first appearance in front of an audience and received a well deserved applause. Next year awaits them with some new songs to be learnt. The evening culminated in a trio of pieces by the choir. Highlights from this year. 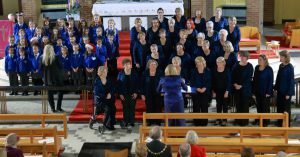 With a new Mayor of Dunstable and a revamped Co-op it was a great opportunity for the choir, with its latest additions, to show off their ever improving singing. Below are just a couple of songs to brighten what was already a very sunny day. 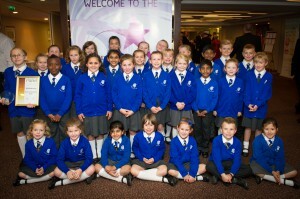 On Sunday 11th May the choir were very proud to be invited to sing at the Mayors Civic Service. 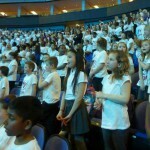 Below is a picture of the choir who attended. 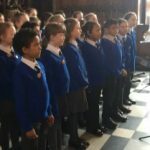 The Mayor sent an email thanking all the choir, staff and parents for their support and commented “Your singing was brilliant….also lovely smiling faces…and very smart….thank you”. To hear Scarborough Fair as sung by the choir at the Priory church simply click here and enjoy. 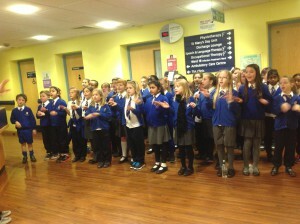 On 14th March, National Sing Up Day the choir visited the Luton and Dunstable hospital. Sign2Sing was a huge hit at Hadrian. 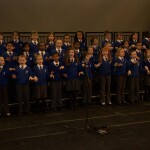 The whole school, and plenty of parents, joined in with the choir to raise over £250 for this charity. 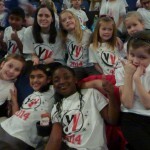 The choir and year 3 were really pleased to be picked to perform at the Wycombe Swan Theatre in Rock the Night Away. 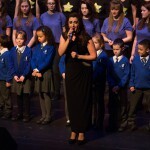 This was a special charity show in aid of Sign2Sing with a lot of other talented performers. We sang two songs on our own and also performed Get Up and Sign with the song’s writers. “Thank you so very much for being part of Rock the Night Away and for helping to make it the success it was. 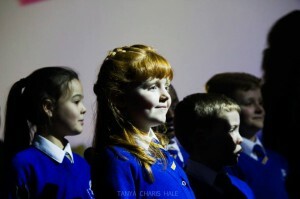 It was lovely seeing your students perform on stage and to see them so keen and enthusiastic but at the same time impeccably behaved – they were an absolute joy to work with and to have as part of the show. Their performance, and signing, reduced many of us, and the audience, the tears! On Saturday 15th February the choir were invited to sing in The Big Sing Off with six other choirs at the Dunstable Conference Centre. 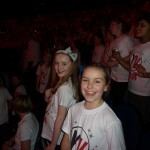 This was a great venue and it was very exciting to sing there. 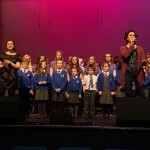 Prior to the event the choir had a mentor, Jenny Ingram Brown to work with them. She had previously worked with some famous names in the music industry, including Luther Vandross, the Spice Girls and Mark from Take That. 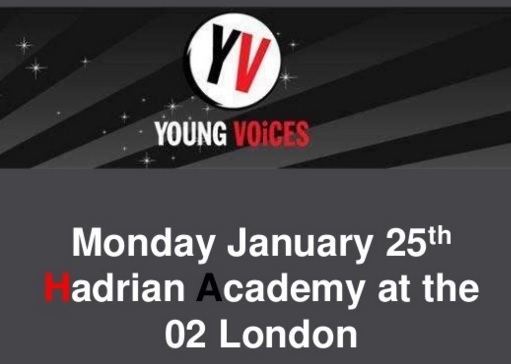 On Thursday the 30th January the Hadrian Academy choir were part of the 7000 strong Young Voices Choir taking part at the 02, London concert. The audience included family members who came along to watch and share in this memorable event. 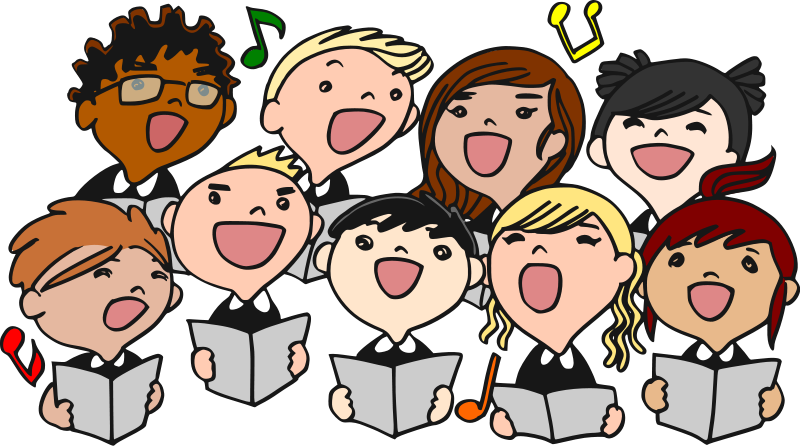 Thanks to the choirs previous hard work in rehearsals at school and on the day they were able to delight the audience and a brilliant time was had by all (and staff). Definitely a day to remember. The choir has been very busy this year and we are really excited about our proposed choir visit to France in 2015. 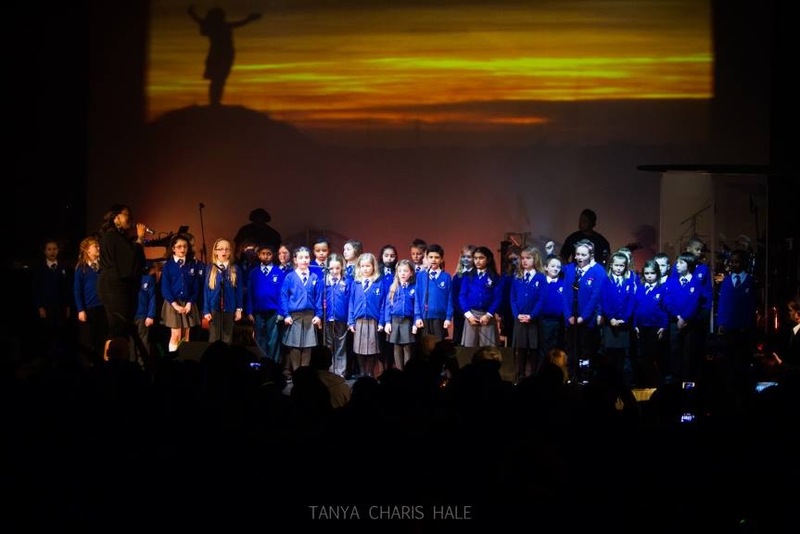 This is a fantastic opportunity for our choir to perform in another country and share our singing with even more people.